Having just installed a chandelier in a bedroom of all places, it made me wonder. Is there a guideline about size and weight of a chandelier in a room? You betcha! Designer rule of thumb for determining the correct size light fixture (if going over a table) is to go with a fixture that has a diameter that is half the diameter (or width) of the tabletop. For instance, if the table is a rectangle that is 48” wide, a chandelier that is approximately 24” (half of the 48” width of the table) in diameter is a great choice. If the table is a 60” round diameter, a 30” diameter chandelier would be appropriate. 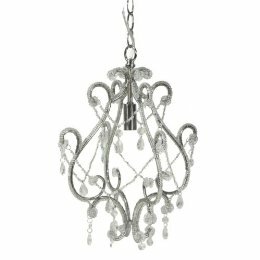 Found the perfect chandelier, and after a small delay in shipping, finally received it only to find out it was a plug-in with a cord! Surprise! No worries, this is fixable. 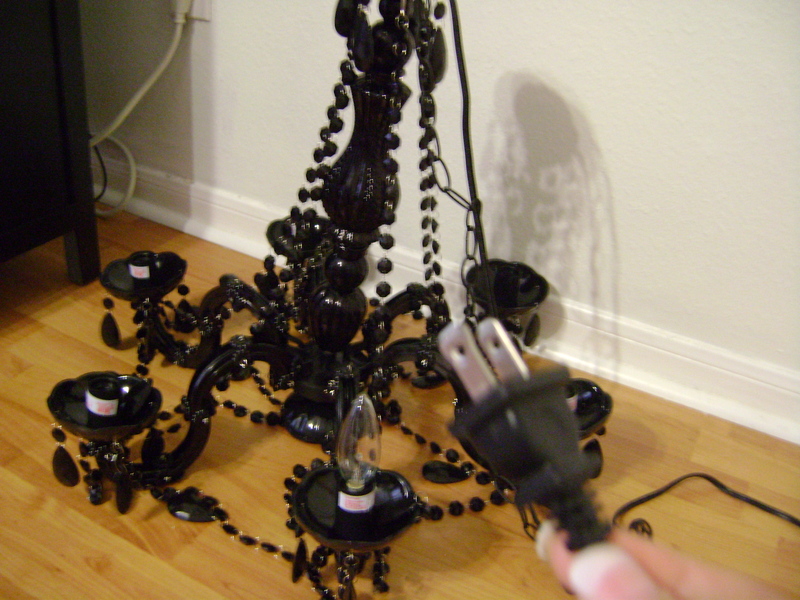 Converting a cord/plug fixture is very similar to installing a regular light fixture. ** Safety first! Turn the circuit breaker off to the light switch in question before attempting any electrical work. A small hand-held amp probe held onto the wires should confirm if the circuit is dead. If you encounter any conditions that are not as described, you should always consult with an electrician. Anything beyond existing fixture changes should also consider any local building codes and ordinances.